Garrettstown House Holiday Park är en camping i Garrettstown, Munster. Denna terrasscamping och camping med sluttande terräng har platser med stängsel, utan skugga och platser med lite skugga. Garrettstown House Holiday Park ligger i närheten av en sandstrand. På campingen finns en lekplats, lekstuga och ett sportområde. Denna inspektör gör varje år ett besök på Garrettstown House Holiday Park och inspekterar campingen för ca 200 faciliteter och för andra förekommande punkter. 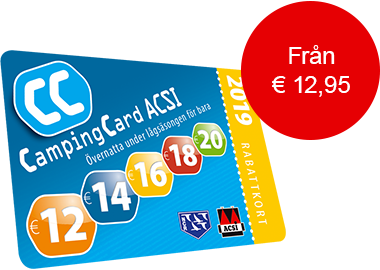 Inspektören är en medarbetare från ACSI och arbetar inte för campingen. Really well located once you get up the hill. Within walking distance of beaches and really nice cycling. campsite well maintained. camper can be placed among permanents. Shop onsite and very helpful staff. Super site, lovely location on grounds of stately home. Family camped in tent for week. Our 10 year old daughter loved it, there was a super playground, kids club in the morning and a movie/disco for kids on alternate nights. Garretstown blue flag beach is 1km from site and is fab. We went down with a caravan, to have a few days of rest at this campsite. It was our first and DEFINITELY our last camp there ever! Do not know how this campsite is a 4 star campsite! We have been to a few already! This is one of the worst ones yet! We could not use a normal kettle. Had to use the camper's kitchen, as there are rediculous wattage limits (do not know why we had to pay for power point). The power points are also unsafe, as not specific for each caravan pitch. You have to use an extension/lead!! Dare not use the shop as you will pay €4,50 for one bar of Dove soap! The sluice was also unequipped! Showers were not the cleanest. I do not care how friendly the staff, it should be a pleasure to go camping - you should not wish you had not gone! Vill du boka Garrettstown House Holiday Park eller få mera information? Det går bra med nedanstående uppgifter. ACSI Eurocampings skickar din informationsförfrågan till "Garrettstown House Holiday Park".